Art on your Doorstep is delivering a wide range of participatory arts in innovative ways – in the community, at home and even on buses! – to help combat rural isolation among older people in the villages around Thirsk. Spare Tyre is 40 this year. 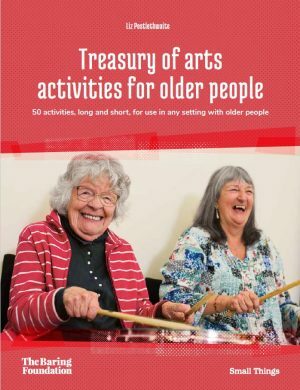 Its Artistic Director/CEO, Arti Prashar, explains how its work with older people has developed.